Not only is outdoor play fun, it’s also beneficial to kids in so many ways! Spending time outdoors can help to increase your child’s attention span. One study even found that the exposure to the great outdoors helps to reduce the symptoms of Attention Deficit Hyperactivity Disorder (ADHD) in kids, which an estimated 6.4 million kids have been diagnosed with. And, according to a report by the National Wildlife Federation, 78 percent of teachers say that child perform better in school and have higher levels of concentration when they engage in outdoor play. 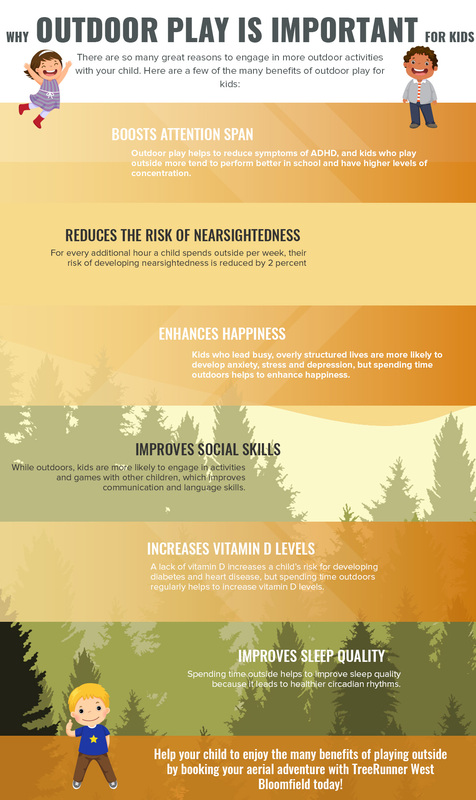 The American Academy of Ophthalmology conducted a study that found that kids who spend time regularly playing outside are less likely to develop myopia — or nearsightedness — than kids who spend most of their time inside. Researchers found that, for every additional hour a child spent playing outside per week, their risk of developing myopia was decreased by 2 percent. In 2012, a project was launched in Nova Scotia to expand the time spent outdoors in child care centers. Of the many unexpected benefits the project produced, one of the most notable was that daycare staff reported that both the children and educators were happier. This makes sense, as The American Academy of Pediatrics found that rates of anxiety, stress and depression are more prevalent in kids who lead busy, overly structured lifestyles. Playing outside helps encourage kids to break out of their shells more, because the outdoors doesn’t have the same kind of confines as indoor spaces do. Outside, children are more likely to engage in outdoor activities and games, and they’re also more likely to interact with other children, helping to strengthen both communication and language skills. According to the School of Education at the University of Missouri-Kansas, outdoor play fosters emotional, cognitive and social competencies in children. Vitamin D is critical to a child’s health, and although it’s produced by the skin with exposure to the sun, many things about city life, including air pollution, prevent many people from getting the vitamin D they need. When your child spends more time outside in open air spaces, it increases their levels of vitamin D, which helps to strengthen bones and prevent heart disease and diabetes. Sleep is important for children for so many reasons, but unfortunately, many children in the United States aren’t getting enough sleep at night. Part of this is due to increased screen time and sedentary lifestyles. Poor sleep quality and late bedtimes have been linked with depression, obesity, diabetes, hyperactivity, stunted growth and lower IQ scores. Spending more time outside is a great way to improve sleep quality, as it helps to reset circadian rhythms. Spend time outside with your children at TreeRunner West Bloomfield today! 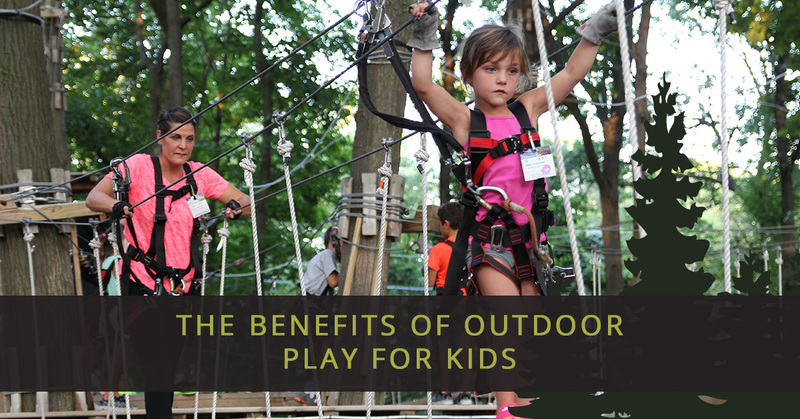 There are so many great reasons to engage in more outdoor activities with your kids, and if you’re looking for an exciting, new adventure in the great outdoors, it’s time to book your trip to TreeRunner West Bloomfield today. 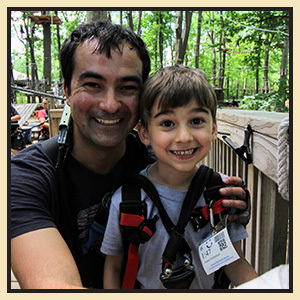 Our aerial park is home to obstacles courses, ziplines and more, and we have the perfect option for all ages.